A Scrabble Word Builder is a tool for increasing your Scrabble word knowledge. Nowadays, it's very easy to find software tools to generate word lists. In fact, I've introduced you to a great freebie called Zyzzyva on this site. You can also buy a very elegant collection of Scrabble lists from Collins. So you might be wondering why on earth I have added another book of Scrabble lists to my rather-bowed bookshelf. The thing is, computers are great for automating mechanical tasks, like finding all words that take a front S-hook, or all 7-letter words that can be formed from A-E-I-N-R-T plus a blank. But what if you wanted your lists to reflect word meanings? Suppose you want to know all six letter adjectives that have comparative (-ER) and superlative (-EST) forms? Or what about all five letter verbs formed from a common prefix? And just to top it off, what if you wanted to focus only on the less common, or unfamiliar, words in these categories? This is where Bob Jackman's English Language Word Builder distinguishes itself from all other books of Scrabble lists I have come across. Knowing word meanings is very handy, but listing them takes up way too much space in a book designed for efficient word-study. Bob achieves a really elegant compromise by inventing a system of symbols that clearly indicates parts of speech of each word, enabling you to derive inflections without clouding the pages with definitions. Words of each length are split up into familiar versus unfamiliar words. This allows you to target your word-study on unfamiliar territory, rather than wading through pages of words you already know. Words having very low probability are often singled out into their own section making it easier for you to make more likely words your first priority. Bob, thanks very much for agreeing to take some time out to tell Word-Buff visitors more about your book. But can you start by telling us a little bit about the guy in the photo? I have been playing competitive Scrabble since 1989, and have been lucky enough to capture two national titles and represent Australia five times at World Championships along the way. I have been President of the NSW Scrabble Association for almost twenty years, plus play an active role on the International Tournament and Ratings Committees. In fact I started off the world Scrabble ratings in 1993, my system being formally adopted by the world body recently. 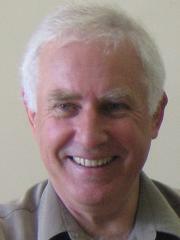 I maintain the SOWPODS website with an international flavor to publish ratings, rankings and various word lists, plus maintain the Scrabble NSW website mainly for the benefit of our members. Do you actually know all the words in your book? No, unfortunately, but I am working on it. The nine-letter words and the less probable sixes, sevens and eights are the hardest to commit to memory, I find. In your book's Introduction it says "The English Language Word Builder has been manually compiled...". I've already explained that this is what I think really distinguishes your book of lists from many others. But I'd like to know a bit more about the manual process. Like how did you go about it, and how long did it take? 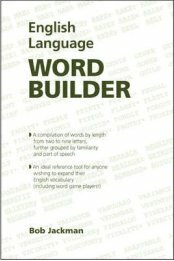 Prior to creating the the English Language Word Builder I published a series of word booklets by length, starting with the fours in about 1994. I kept going and eventually completed the set from three through to nine-letter words over the next ten years. These booklets excluded everyday words so when I decided to create one single publication I had to wade through automated lists of words by length to round up all the everyday words that were missing from my booklets. The existing booklets formed the core of the Word Builder, with everyday words then added to the core and definitions appearing in the booklets removed. I guess that latter process took about three years. Then the new Collins words had to be added in and each chapter rejigged as new hook words were formed and parts of speech sometimes changed, so all up you could probably say there has been about fourteen years work involved. The decision to separate familiar from unfamiliar words is clearly a crucial one in your book. How did you draw the line between these two subjective categories? The familiar words were essentially those that did not make it into the series of word booklets by length that I mentioned in my answer to the previous question. When in doubt I would run the word past my wife for a second opinion. I realize that a lot of players will find familiar words in the unfamiliar section, and even unfamiliar words in the familiar sections. I tried to include as many everyday words as I could in the familiar sections, as I like to think these sections could be of used to assist people learning basic English, not just wordgame players. Your word study and publications have always placed central importance on 'parts of speech'. Most Scrabble players I've met don't do this. Why has this always been your emphasis, and why do you think very few other players focus so much on it? When playing Scrabble I like to be confident that I can hook on an S for a noun or D for a verb. I try to isolate in my mind those that are only adjectives and those that are verbs. The definitions contained in my word booklets help in this process. Then all the rest I can fairly confidently assume must be nouns. The tricky ones are the everyday words that have an unexpected part of speech, for example BRASH being a verb or BRIGHT being a noun. I spent a lot of time isolating such familiar words and have listed them separately. I don’t think players have focused much on this aspect because that type of added information for core words has not previously been available. Now that it is all compacted together in the one place, it might catch on. Who knows? Your intimate knowledge of the four, five, and six letter words must have enabled you to make some nice plays over the years. Can you give us an example of a recent game situation in which this knowledge really paid off? I remember collecting a lot of points adding E onto JAMB to make JAMBE. My opponent challenged unsuccessfully and again he challenged unsuccessfuly when I extended JAMBE to JAMBEE. Just on the weekend I extended FORB to make FORBY for at least 40 points as the Y was tripled in both directions, but in this case I did not get the chance to turn FORBY into FORBYE. Such extensions are readily evident within the pages of the book, as all available end hooks to make new words are shown in lower case. Many Word-Buff visitors are a bit new to the world of competitive Scrabble, and may find the book a bit daunting. Can you suggest a gentle way for them to dip their toes into it? The book is designed for people to work their way forward through it, one chapter at a time. Color highlighters are handy with a book like this. Using green to indicate full knowledge of the word, including its part of speech, blue to indicate knowledge of the word but not its part of speech and yellow to indicate no knowledge of the the word. Once the word is learned just add blue to yellow, or yellow to blue to get to green. Words vaguely familiar can be left un-highlighted for now. Do the shading just for core words, not for every extension of the same word. These are always covered in the next chapter. Do you produce any other books that might be of interest to our browsing word-buffs? Only the aforementioned series of word booklets by length so far, but these have not been updated for the Collins dictionary and rely on inserts. But I have another project in mind which is not quite as bland as a straight listing of core words. It will be based on real games played, and I hope that it will be fun to use plus be a valuable learning tool for your word-buff fans. Thanks again for taking so much time to answer my questions Bob. No problem, Derek. I hope my answers were helpful. Like the sound of Bob's book? Here's where you can get it.